November 6th is an important day for Americans, as they head to the polls to choose their representatives in Congress and conduct an informal referendum on U.S. President Donald Trump’s performance. It is an almost equally important day for Canadians, whose political future depends, in many ways, on the results of these midterm elections. The outcome of the November 6th election will impact the future of Canada-US trade, determine how Canadian Prime Minister Justin Trudeau spends the last year of his mandate in office, and impact the popularity of Canadian political parties heading into the 2019 Canadian federal election. A year of grueling North American Free Trade Agreement (NAFTA) re-negotiations finally reached an end on September 30, 2018, when an agreement-in-principle was reached between Canada, Mexico, and the United States. Despite this, the process of replacing NAFTA with the United States-Mexico-Canada Agreement (USMCA) is far from over. The agreement must first be ratified in each of the member’s respective legislatures, including the American Congress. Because of the timing of the agreement and of the U.S. midterm elections, it will be up to the next Congress to sign the agreement. This could spell trouble for the ratification of USMCA, which was written to please the current legislatures of the three countries. Although the Democrats largely support free trade, there may be some temptation to block or severely delay USMCA with the intent of damaging Trump’s reputation before the 2020 presidential elections. 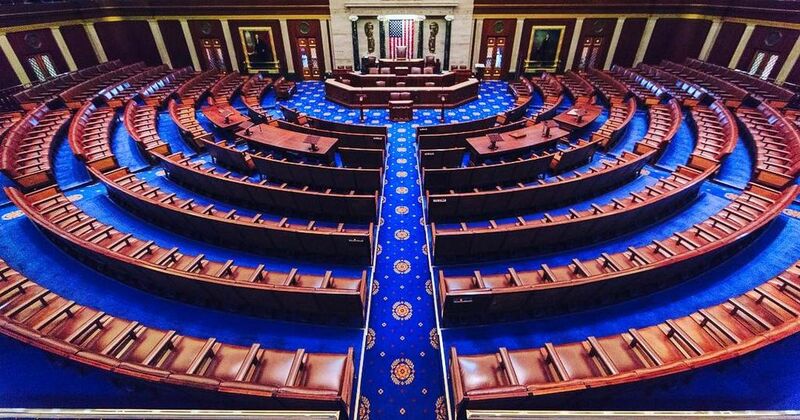 If the Democrats take over the House of Representatives as expected, this could create significant uncertainty surrounding the deal. This risks harming the Canadian economy, with uncertainty potentially slowing business investment. If Democrats take control of the House of Representatives, it is not only USMCA that risks being halted. If, as predicted, Democrats win a majority in the House, much of President Trump’s policy agenda will likely be derailed. With a divided government made up of a Democratic House and a Republic Executive (and likely a Republican Senate, too), neither side will be able to accomplish much. Slowing the political output of the American government will allow global leaders to relax somewhat and turn some attention away from the United States. For Justin Trudeau, this will be a noticeable departure from the last two years. Since Trump’s election in 2016, much of Trudeau’s work has revolved around damage control from the United States’ actions. From renegotiating NAFTA to providing advice to other world leaders on handling Trump, “an enormous amount of government time and resources has been dedicated” to the U.S. by Trudeau since Trump took office. A flip in Congress would allow the Democrats to dampen Trump’s efforts, reducing the perpetual uncertainty over Trump’s next move. Consequently, Justin Trudeau would be able to shift his attention to other political arenas. If used wisely, the Liberals could direct their resources to issues that will help them win again in 2019, like building the Trans-Mountain pipeline and ironing out differences on the carbon tax with the provinces. While a Democratic win might help Trudeau in 2019 by allowing him to re-direct his energy, it could have also have a negative effect on his re-election bid. While perhaps counterintuitive, the drastic character foil between Trudeau and Trump makes Trudeau look good to most Canadians. More than 4 in 5 Canadians disapprove of President Donald Trump, likely helping to increase Trudeau’s approval even among those who did not vote Liberal in 2015. If the Republicans maintain control of the House and Senate, Trump will be able to continue on his current path, thereby cementing Canadians’ distaste for the President and their contrasting approval for Trudeau. Conversely, a Democrat win would mean some muffling of Trump’s power, and a reduction of contrast between the two countries’ political realities. With approximately one year between the American midterms and the Canadian federal elections, this might be long enough for Canadians to forget their Trump-induced fear of right-wing politics. In this sense, a Democratic win might be good for Trudeau in achieving policy objectives over the next year, but bad for his attempt to secure a second mandate in 2019. Ultimately, there is some truth to Pierre Trudeau’s analogy of Canada as a mouse sleeping next to an elephant. Canada is “affected by every twitch and grunt” of the United States, and the upcoming midterm elections are no exception. Feature image by Office of the Speaker of the House via Wikimedia Commons.